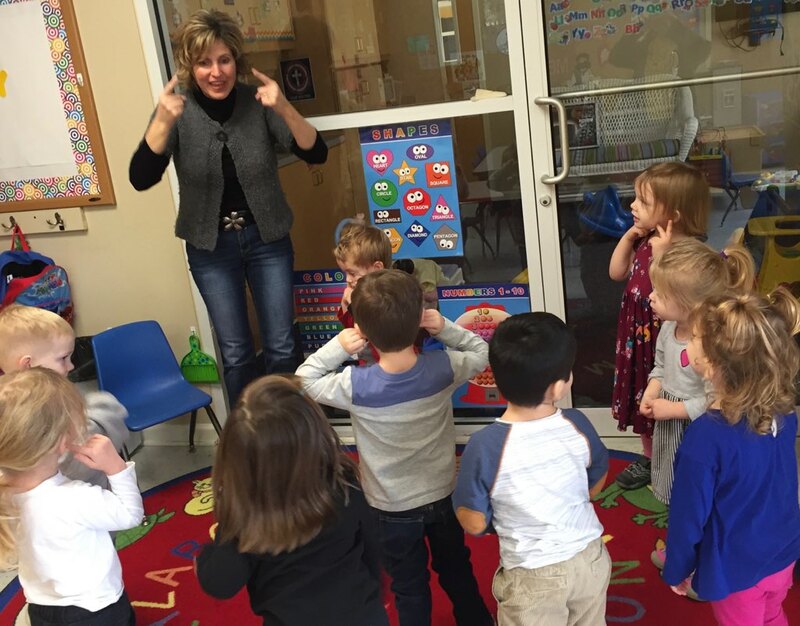 Children love singing songs like “Head, Shoulders, Knees, and Toes” to strengthen gross motor skills, as well as improving listening skills and following directions. Fees: Tuition is $95 per month. Registration fee is $100 ($75 if paid by March 1st). Reduced registration fee and monthly tuition for second or more child(ren). Asking open ended questions help to improve a child's higher level of thinking skills, vocabulary, and strengthens teacher interactions with children. 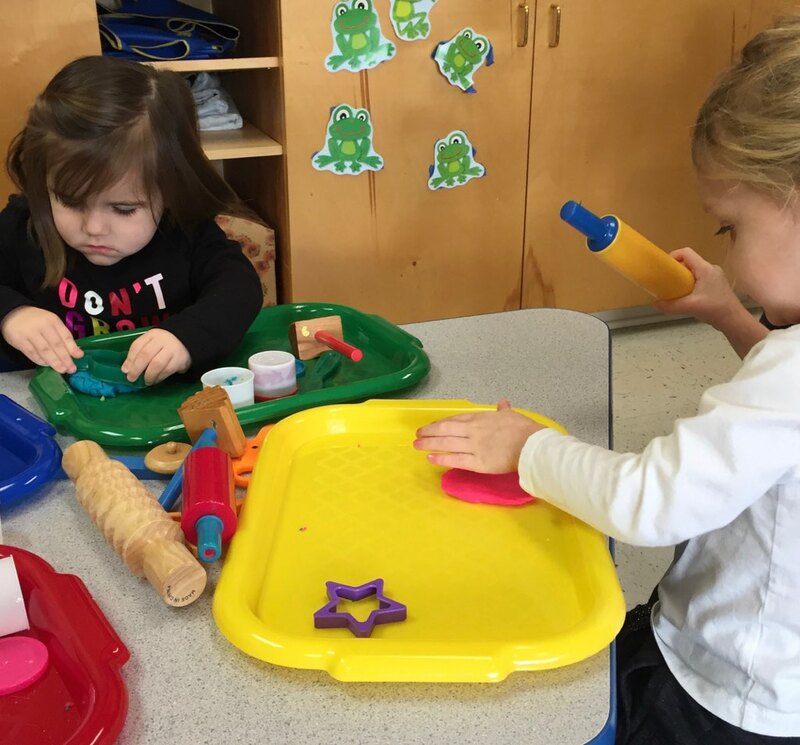 Children use their pincher grip to help strengthen fine motor skills, which will help with pencil grip, holding scissors, and tying shoes! 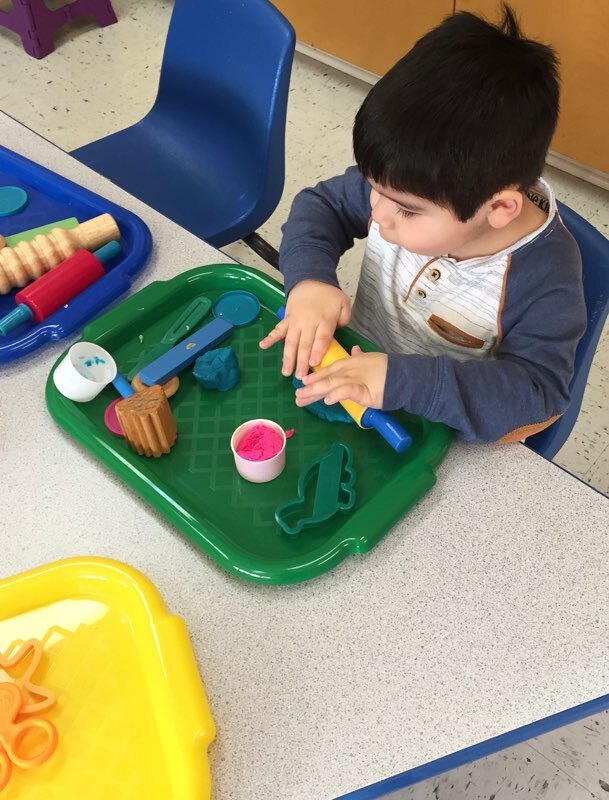 Playing with Playdoh helps strengthen and improve dexterity in their hands and fingers, as well as improving eye hand coordination. Terrific Two’s Class’ Assistant Teacher Stacy Bresson graduated from Lynchburg College and majored in Interdisciplinary Studies with an emphasis on Special Education. Throughout college she volunteered with Special Olympics. She also works part time as a caregiver for an adorable three year old with Down Syndrome since his birth. 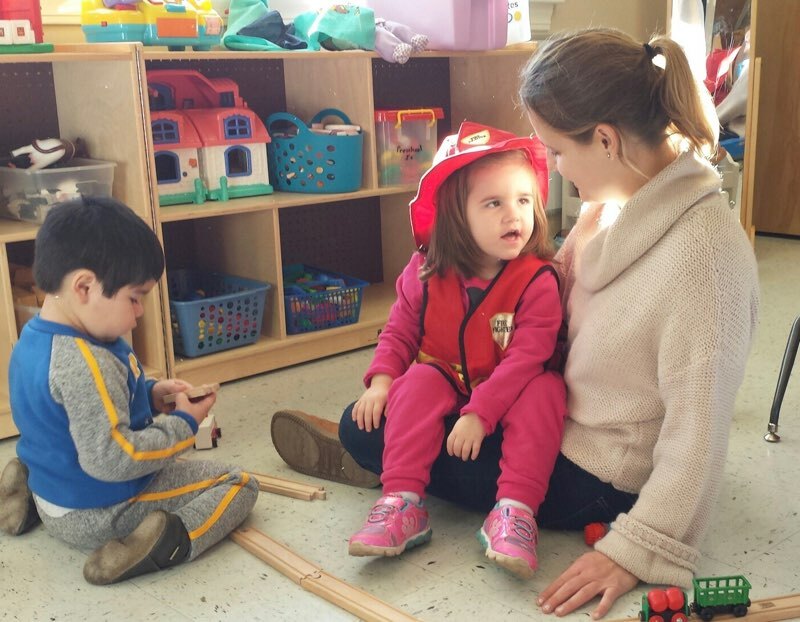 Watching him grow mentally and educationally has inspired her to have a passion working with young children in a preschool setting. 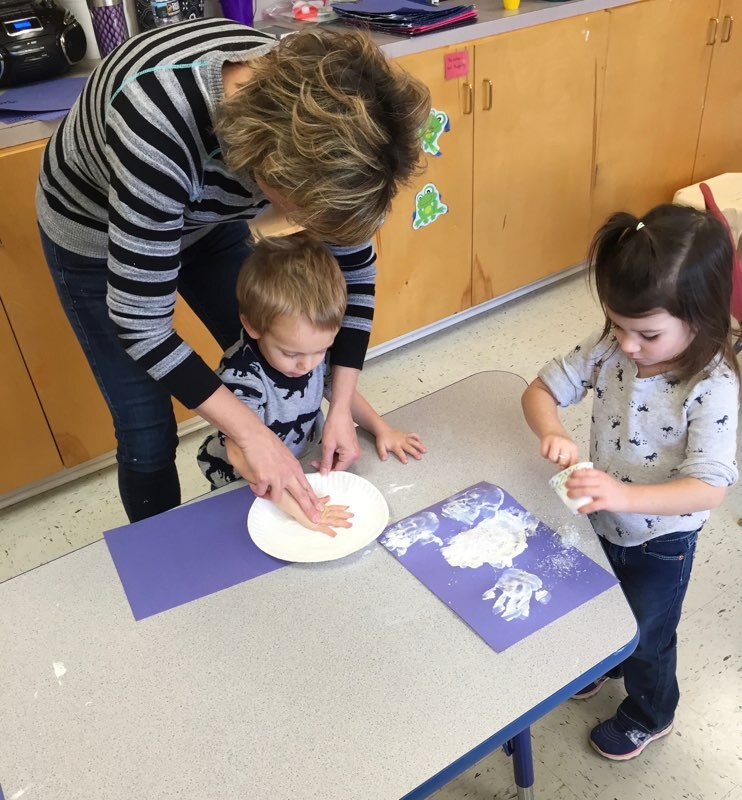 Miss Bresson gives individual care and attention to all of her students, depending on what the need is each day.